Superb Royal Doulton Antiques for sale including Doulton figures, vases and highly collectable stoneware, cabinet plates and Bunnykins figures. Some of the most popular and sought after antique pottery, porcelain and stoneware in collecting circles, all available in the Doulton Antiques Shop. Always remember to check your Royal Doulton History and Doulton marks in our Doulton section. Find rare and collectable Royal Doulton lady figures and rare retired Doulton lady figurines in the Doulton Antiques Shop. Doulton Stoneware from the Doulton Lambeth factory. Including vases and other collectables from superb artists like Hannah Barlow, George Tinworth, Frank Butler and Eliza Simmance. 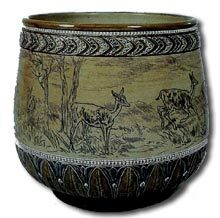 Royal Doulton Stoneware epitomises the art and skill of Doulton artists and is very much sought after. Pottery figures, vases and collectable jugs. Royal Doulton produced one of the most extensive and diverse ranges of pottery ever manufactured by a single company. From sanitation products and stoneware designed at their Lambeth Studios, Doulton had some of the best ceramics artists ever seen. Highly Collectable Royal Doulton Seriesware, from the sought after Dickens Ware series to the Shakespeare Series and more. 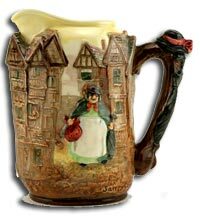 Doulton seriesware is very collectable and becoming more and more popular as the years pass. 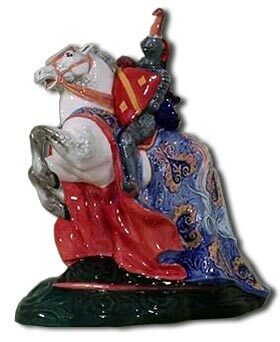 Royal Doulton Kingsware is highly collectable and among the rarest of Doulton collectables. It is becoming increasingly hard to find good quality examples that are free from damage. Buyers are paying premiums for signed pieces that are in excellent condition. find yours in our Doulton Antiques Shop. Rare and collectable Royal Doulton figurines and limited Edition figures. Some of Doultons most collectable and stunning products from artists like Peggy Davies, Charles Noke and Leslie Harradine. Doulton Bunnykins figures and collectible plates and bowls for sale. 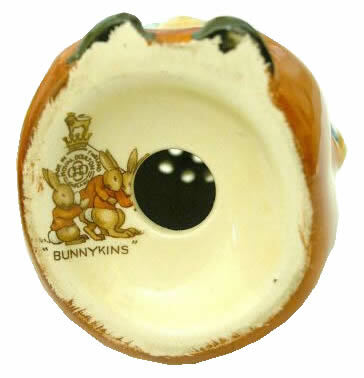 Bunnykins are possibly the most sought after group of Doulton figures and the range is extensive. From Father Bunnykins to Ned Kelly and even Saint Patrick Bunnykins. Rare and collectable Royal Doulton Animal figures. 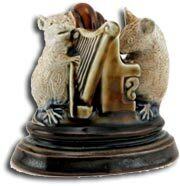 Everything from George Tinworth novelty mouse groups to Doulton horses, dogs and cats. Royal Doulton Character Jugs and Toby Jugs. Including superb jugs by Doulton artists Charles Noke and Harry Simeon all i the Doulton Antiques Shop. 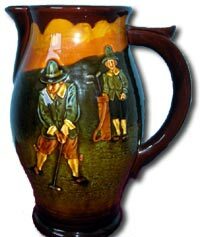 In 1940, Royal Doulton decided to produce six tiny character jugs which have become known as ‘The Original Twelve Tinies’ and are highly collectible. Royal Doulton Art Ware is some of the most attractive ceramics around. 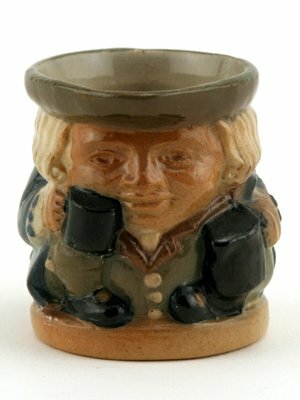 It includes flambe figures & vases, Brangwyn wares with their own base mark and Titania wares produced from 1916 to 1933. 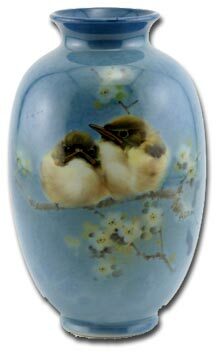 The very best prices on Doulton vases including impasta vases by the superb John Broad and stunning Doulton Vases by some of Doultons best artists. Good quality, undamaged, Doulton vases are always popular and a sound investment for the future.